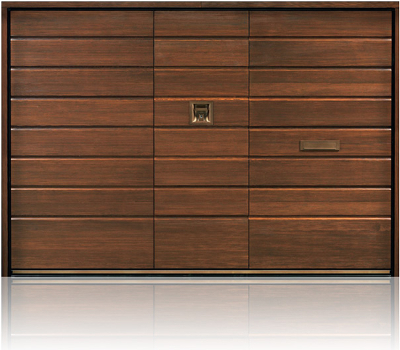 Silvelox OLD garage door gives a rustic traditional look in a high performance door. You would be forgiven for thinking that the Silvelox OLD garage door is just traditional due to the style. 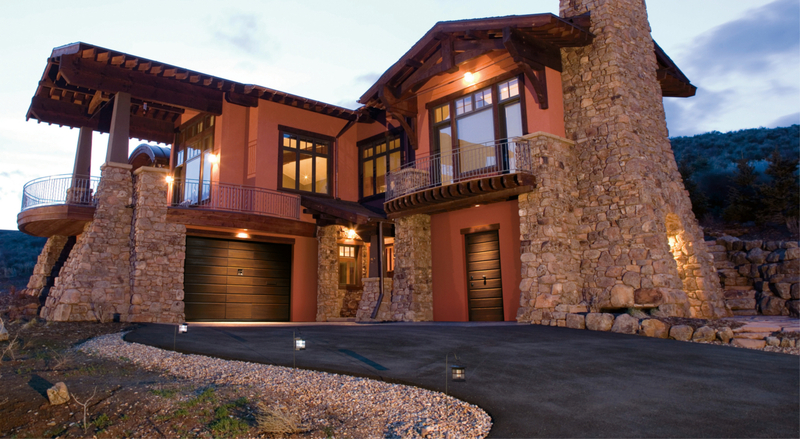 Underneath the traditionally styled exterior is the very latest in garage door technology. Silvelox garage doors are different than most up and over doors. They have a clever and patented self-lifting counterbalance system to lift the substantial 80mm thick door leaf. Rather than using springs the counterbalance uses weights. The advantage of this is a much smoother operation of the door and a longer lasting mechanism. Neatly hidden away inside the head rail on the doors that we automate is the electric operator. As a result, the ceiling space remains clear. Many of our customers choose the optional pedestrian door. 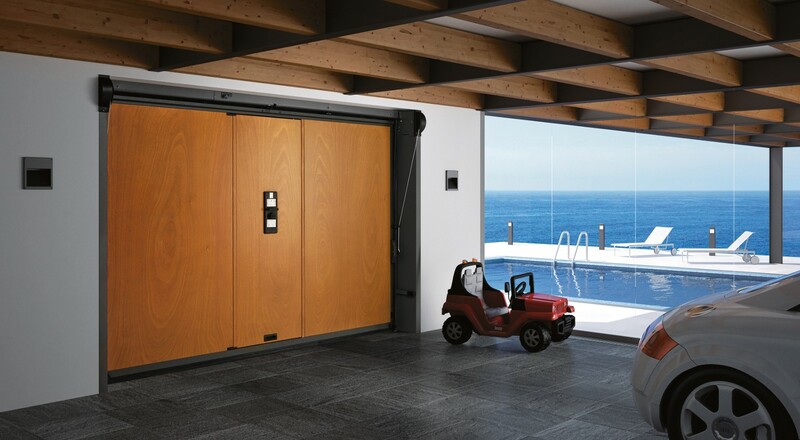 This great feature allows personnel access to and from the garage without having to open the whole door. Brushed larch timber with a walnut stain is shown in the images here. 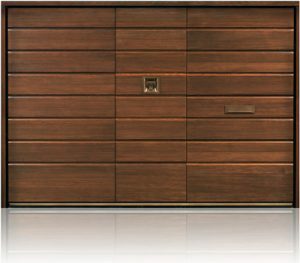 As standard, Silvelox garage doors come in Okoume hardwood, optional veneers such as larch, oak and teak are also available. Rather than having the door stained it is also possible to have OLD with a paint finish. You can choose any colour from the RAL chart and we have even match to a provided sample. Silvelox manufacture the highest security garage doors available and old comes in two versions: Secur and Secur Plus. 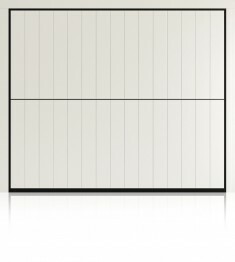 Secur is a Class 1 security door which is far more secure than most garage doors on the market. 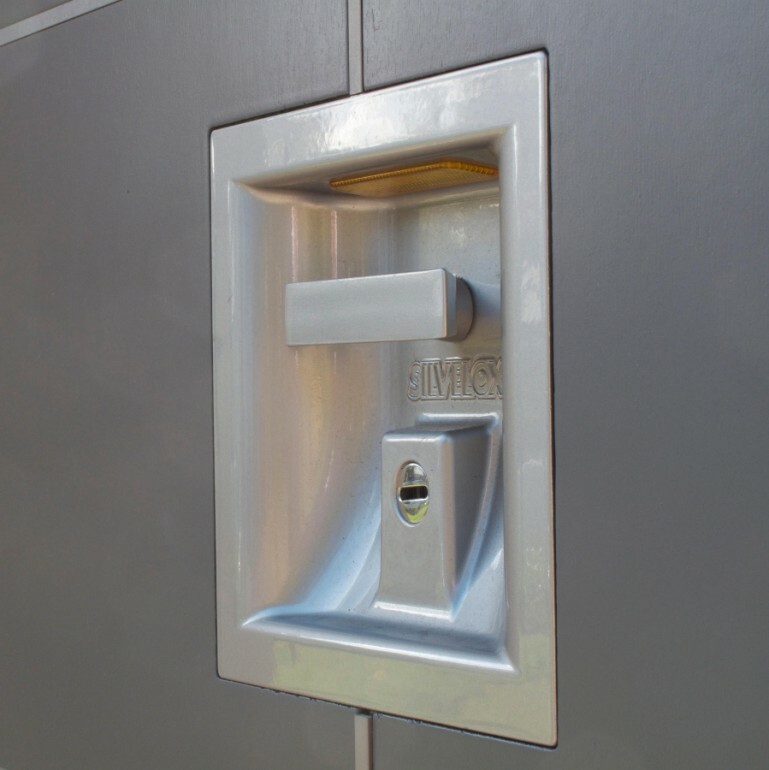 The Class 3 Secur Plus security door offers a very high level of security. 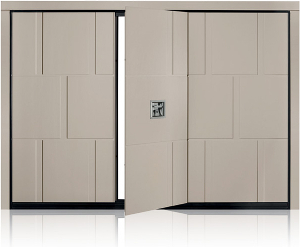 Secur Plus doors come with an automatic electric locking and a steel sheet laminated in to the door leaf. Also available, is the Silvelox matching front door.